Novak recently introduced its 17.5T Ballistic Spec High-RPM motor to the competition spec racing market, and is now offering two additional motor winds- 10.5T (#3620) and 13.5T (#3623). 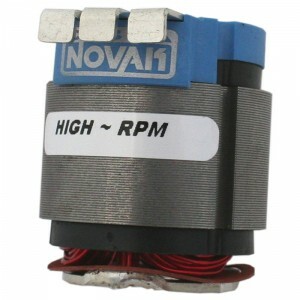 Novak’s Ballistic Spec High-RPM Brushless Motors feature a higher Kv stator wound with Novak’s low-resistance red wire for faster speeds, and vented end bells for cooler operation. 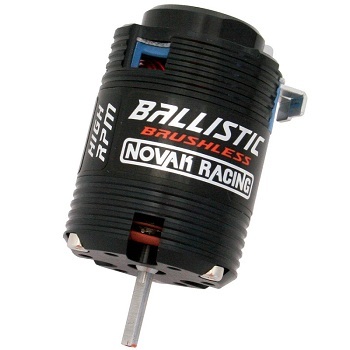 For ultimate track speeds in spec-class racing, power your vehicle with Novak’s Ballistic Spec High-RPM brushless motors. Available October 2012. In addition to the complete motors, the Ballistic High-RPM Red Wire Stator-10.5T (#S6620) and 13.5T (#S6623) are also available so racers can convert any Ballistic 540 motor into a spec-racing bullet! Novak takes pride in its manufacturing facility in Irvine, California and also with its use of high-quality components, assembly, and testing processes. Each Novak Ballistic Brushless Motor is built and tested at the Novak factory to Novak’s exacting standards. Novak products are supported by Novak’s knowledgeable customer support staff and active race team. If you like this article, check out this additional article on Novak.